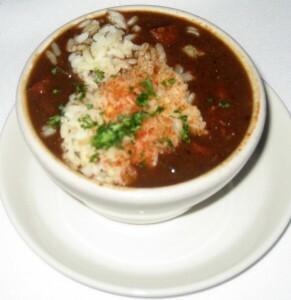 A cup of gumbo with rice, beans, chicken, and sausage. The consistency is thick and hearty which makes it quite satisfying. If you can’t make it to New Orleans, try this instead. The gumbo is packed with flavor and addictive to eat! 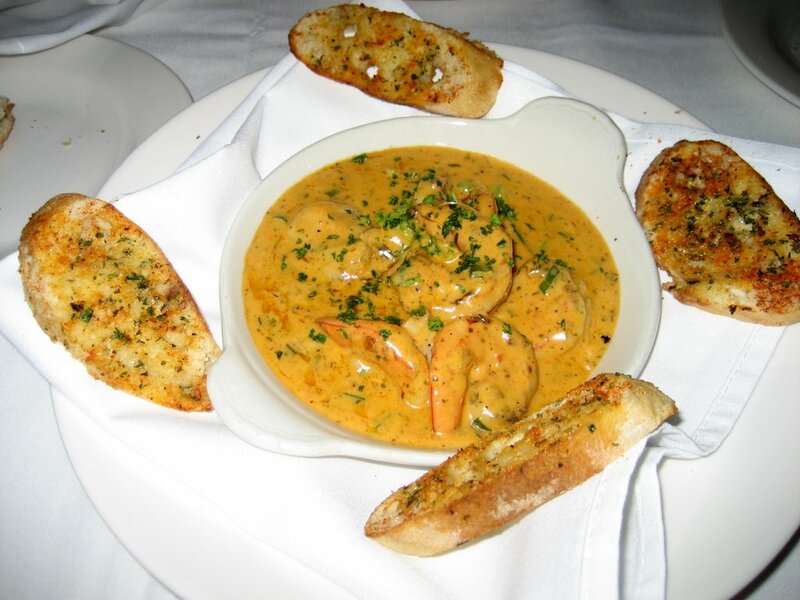 Jumbo shrimp sauteed in a creamy tarragon sauce served with toasted garlic bread. The buttery garlic bread and mouth watering sauce is what makes this dish a huge hit. We wish we could take this sauce home with us! The shrimp are large and plentiful, but slightly chewy. 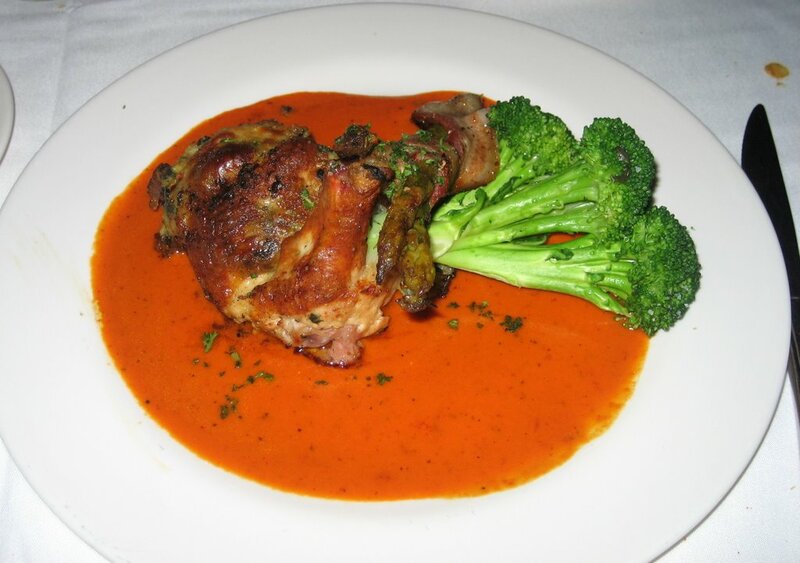 However, don’t let that deter you from ordering this dish! 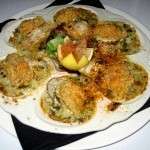 Oysters in spinach Pernod, topped with fried oysters and grated parmesan. These oysters provided a welcome explosion of flavors and textures. The baked oyster just melted in our mouths, and the rich creaminess of this dish complemented the fried oysters beautifully. The spinach pernod was delicious, and each bite had a hint of lemon in it. Unfortunately, we did bite into and a few very hard bites. It ended up being the oyster shell and is the only aspect preventing this dish from being a ten. 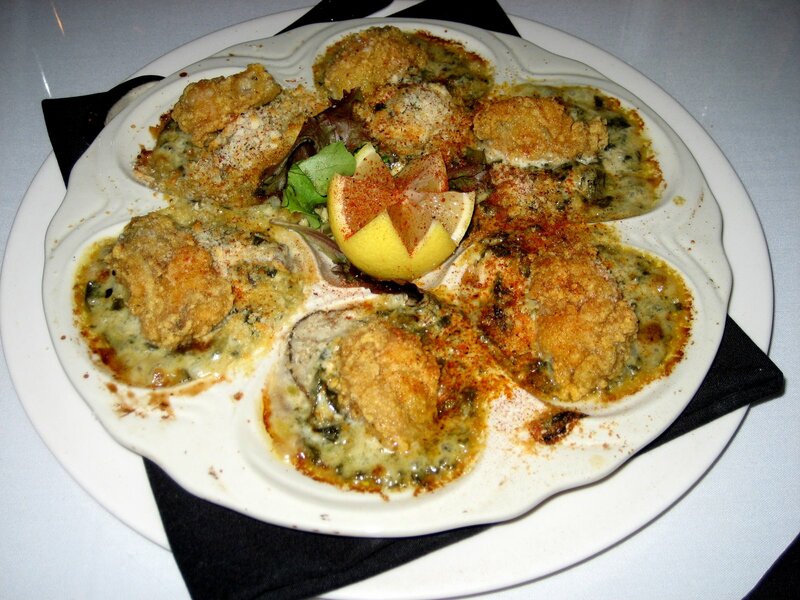 Order this classic oyster appetizer and you may find yourself ordering a second one! Blackened tenderloin, over red wine peppercorn sauce. Served with grilled six shrimp and mushroom, bacon, and garlic sauce. We ordered the tenderloin cooked medium based on the waiter’s recommendation but were disappointed on how unevenly cooked it was. The outside was firm and enjoyable, but the inside was quite mushy. 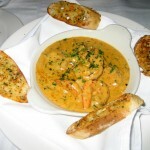 The Cajun shrimp was a delicious addition and was not chewy like the Shrimp Eddy. For our side item, we chose the dirty rice which was mediocre. Chicken stuffed with mushrooms, bacon, and spinach. 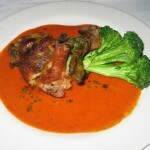 Served over fire roasted red pepper cream sauce with bacon (applewood smoked) wrapped asparagus. The stuffing and sauce complimented the tender chicken very well. It is not mentioned in the menu, but the dish comes with what seemed like half a head of broccoli. Our only complaint is that the bacon around the asparagus is soft and fatty. This dish is a must! 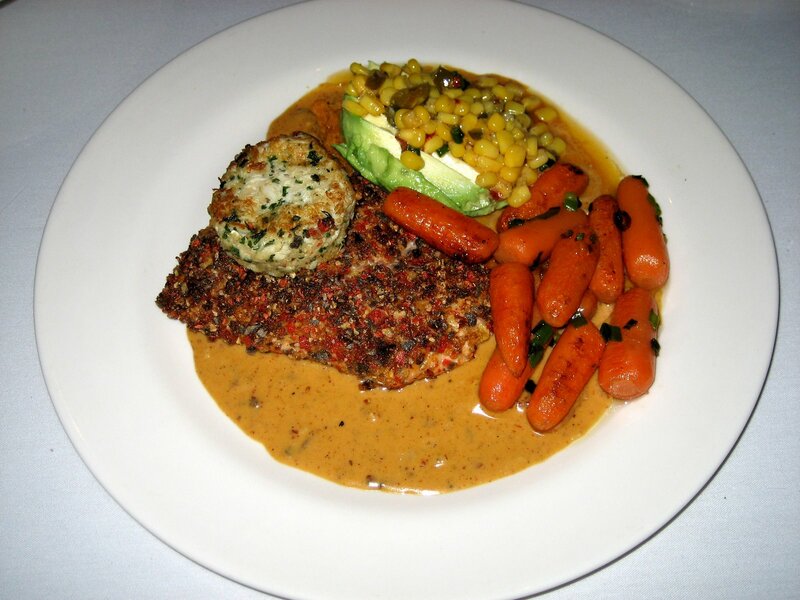 Pan-sautéed salmon, topped with a sautéed crab cake, and served over chipotle cream sauce, with sweet potato purée, sliced fresh avocados, and jalapeño-corn relish. This entrée was unique and filling. The salmon by itself had a nice crunch but was plain. But when mixed with the chipotle cream sauce, avocado and relish – it was very good. Gumbo’s is generous with their serving size, which is always appreciated. The avocados were fresh, the corn relish had a nice kick to it, and the sweet potato puree added a pleasant sweetness. 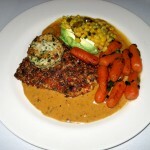 Although the sautéed crab cake was a little bland, we were happy to see it was real crab and not filler. Overall, this was well-portioned, fun entrée. The bread pudding was delicious and the ice-cream on top complimented it perfectly. 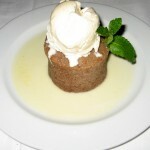 The whiskey in the bread pudding was subtle and added a hint of smokiness to the dish. 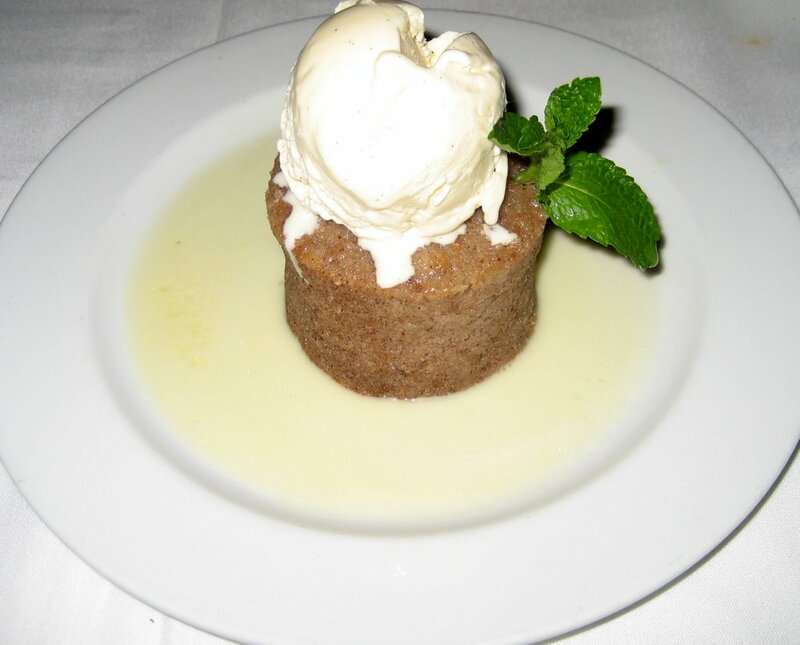 If we could change one thing, we would have liked it to be a bit more moist and puddingy – but overall it was still a noteworthy dessert. 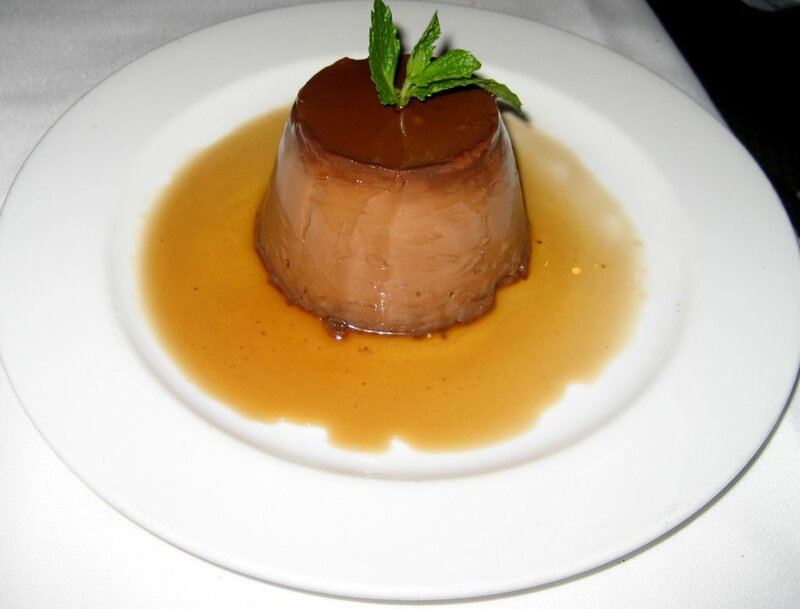 This custard resembled a flan, and could easily have fed four because of its richness. It had a nice flavor, not too subtle and not too intense. It was a tightly packed mousse of chocolate cream galore. This was one of the few times we were unable to finish a chocolate dessert…Wow! The service here is top-notch. The hostess was professional and pleasant, and our waiter was very helpful. He was down to earth and friendly, not pretentious as waitstaff sometimes are at fancy restaurants. He spaced out our 3-course meal and was attentive without being overbearing. He also boxed up our leftovers and never rushed us. 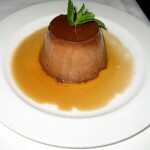 The waitstaff here is experienced and friendly – a fabulous combination. **We’ve also been to the Gumbo’s in Round Rock. Although the service was good, the staff could use some pointers from the Gumbo’s located downtown. Gumbo’s occupies the first floor of the historic Brown building in downtown Austin. Valet is available, but we were able to find street parking. The restaurant has plenty of seating available in tables and booths. The ambiance is a mellow, upscale wood interior, with dim lighting, high ceilings and light jazz playing in the background. 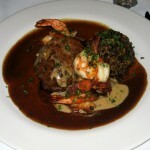 This Cajun restaurant is good for couples and groups because it has a nice intimate feel to it. Gumbo’s is slightly pricey but well worth it – especially if you enjoy large portions and rich, creamy sauces. 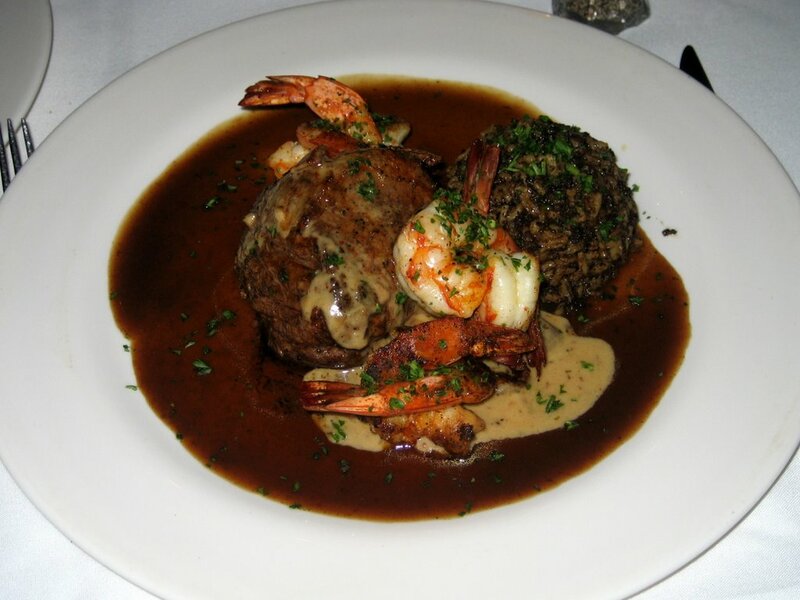 Since we are pretty familiar with Creole cuisine, we can confidently recommend this restaurant…your taste-buds will thank you later! ** The Gumbo’s in Round Rock has a completely different ambiance. This is probably because it is in the suburbs. It is well-lit, and casually upscale. It is more comfy-classy than trendy.